Dottin' The i | Intuitive, intriguing, inspirational interviews with today's Christian writers. Intuitive, intriguing, inspirational interviews with today's Christian writers. 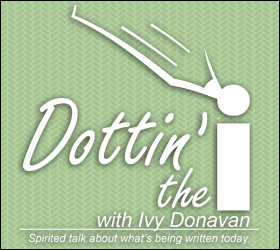 Dottin’ the I with Ivy Donavan is on The Pledge! Saturdays 5-6 p.m. and Sundays 4-5 p.m.